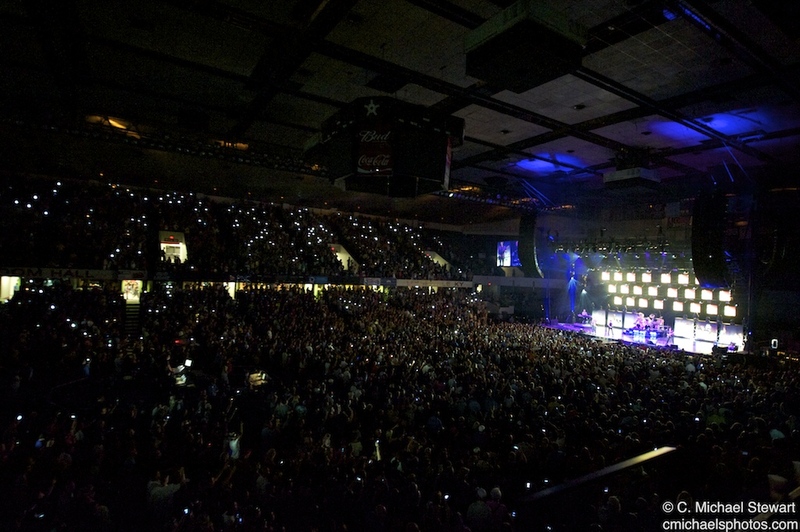 Friday nights, Kentucky State Fair show featuring Journey, Pat Benatar and Loverboy allowed Freedom Hall to return to its glory days. The sold out concert was reminiscent of past great performances of the venue. In the late seventies and throughout the eighties, bands like The Rolling Stones, Led Zeppelin ,Pink Floyd and many other legends played the venue. Journey returned to the place where they climbed from an opening act in for Boston and Manford Mann in March of 1977, to headlining here in the Steve Perry years. I attended those concerts and most others and this night was the closest I have witnessed to those wonderful memories. Although the arena wasn’t filled with a cloud of smoke, I did see lighters held high and have not heard such a loud audience since those early shows. The fans came dressed as in those days, tee shirts of their favorite bands and jeans. They knew most of the words to songs from all three groups and sang the choruses admirably. The majority of the audience were middle-aged or above and ready to have a party. Loverboy opened the show with a quick set of their greatest hits, A heavier, Mike Reno was less mobile but his vocals are still strong. The band was very tight, Paul Dean was excellent on guitar, his chords and solos are the driving force of the band. Scott Smith’s booming bass opening “Turn Me Loose”, was the highlight of their show. The Band finished with “Working For The Weekend” which had the largest audience participation of the evening. Pat Benatar ripped through her set mingling hits , and a few cover songs throughout her show, she still has a strong voice and continues to share the stage with her husband, guitarist, Neil Giraldo. They have been together for over 30 years. Giraldo’s guitar is as strong as Benatar’s Vocals, together the duo belted out “Hit Me With Your Best Shot” and “Love is A Battlefield” in powerful fashion. 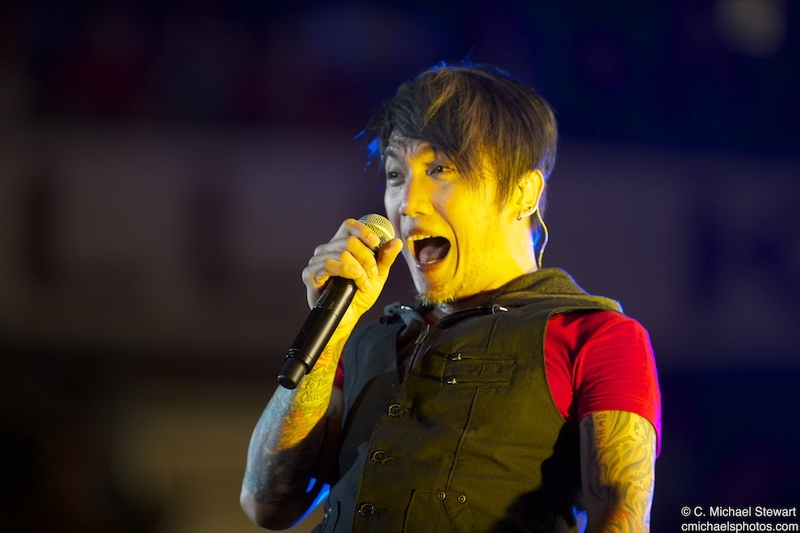 There was little doubt who the fans came to see when Journey took the stage and it didnt take long for singer Arnel Pinada to make fans forget Steve Perry. Pinada who was found by the band on U-Tube and hired in 2007, sounded remarkably like the original singer and posses much more energy. But it was guitarist, Neil Schon who makes the band. 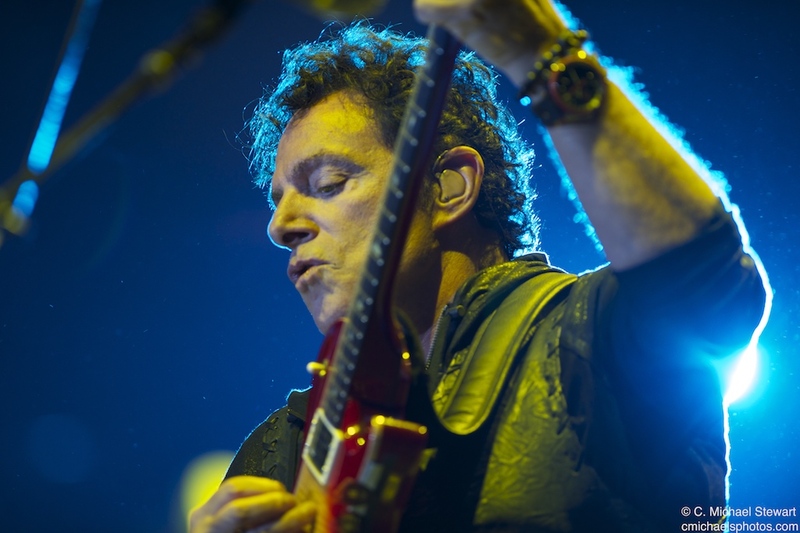 Schon is a world class guitar player, who began at 15 years old playing in Santana. His solo on “Taboo” feature on Santana III is in my opinion one the best solos of all time. 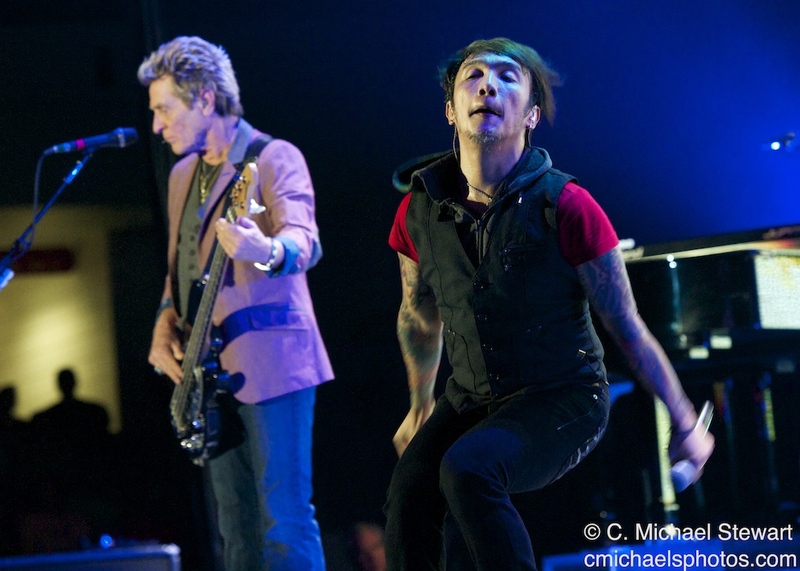 After two years with the band he left to form Journey with Santana member Gregg Rollie. His version of “The Star Spangled Banner”, was amazing. This band left nothing on the table. Their sound was excellent and stage show energetic. As I waited in traffic after the show, a car passed me filled with Journey stickers on their back windshield, inside were two people who looked to be in their mid to late sixties. That is the kind of outreach the music of Journey holds.